Kelly was born and raised in West Virginia. 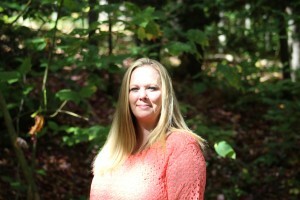 She started with us as an intern and is now the assistant director of cabin mountain living. Kelly has a Bachelor of Science in Psychology and a degree in Culinary Arts. She also holds a life coaching certificate from American Association of Christian Counselors and is certified to teach Strategies for living. Kelly is devoted to helping young adults grow, prosper, and help them reach highest level of independence in their daily lives. Kelly teaches numerous courses at Cabin Mountain such as baking, budgeting, life skills, and she also coordinates all the activities the residents engage in on a day to day basis. These skills are translated into daily living and help clients reach new degrees of autonomy. Kelly has a wide degree of skills and interests that she shares with the residents of Cabin Mountain. These include: hiking, fishing, swimming, crafting, sports, baking, horseback riding as well as many other things. These activities provide stimulation for the residents and teaches clients effective coping skills in the face of stressful events.